Waterloo police have identified the victim of a shooting Monday night as 48-year-old Diane Martin of Waterloo. Police say she was struck inside a house at 84 Ricker Street when someone outside began shooting into the home. Results of an autopsy conducted by the Iowa State Medical Examiner’s Office on Wednesday show that Martin died from a single gunshot wound. Records confirm she is the mother of Shavondes Martin, whose body was found in an alley near downtown Waterloo on May 31st. He, too, was shot to death, but police aren’t sure if there is any connection between the two murders. Both deaths remain under investigation and no arrests have been reported in either case. 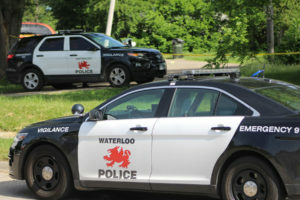 The shooting that left Diane Martin dead was one of two reported in Waterloo Monday night. Police say 18-year-old Corey Dunn suffered a non-life-threatening wound in the other incident.